Answer: to link together; unite in a series or chain. Saturday night my sis and I went to see EXTRATERRESTRIAL at the 35th annual Portland International Film Festival (or PIFF). So, by the name, you might think it was a Sci-Fi film or a thriller, or horror, or. . . NOPE it was a romantic comedy. This was Nacho Vigalondo’s second feature and was set in Madrid. It was a story of love and betrayal with aliens hanging over head. . . sort of. At times it was seriously funny ;) Michelle Jenner was beautiful and played the part well. Just the looks and glances that went on between the actors was very telling...in the story. Julián Villagrán did a great job too. Well, all the characters were great. The triangle love affair grew into a massive deception of intergalactic proportions and that's what made the movie so much fun. It was almost a spoof on the levels people will go to to hide their indiscretions. Anyway, if you don't mind reading subtitles, I would recommend this film. It was a fun departure from the local films. My husband has been chipping away at the project he started in November. Of course it's not easy finishing something on the weekends. But he got in another window this weekend. Hopefully it will be a finished project by next winter - at least the good weather is on the way..
Maybe you'll talk me into it. Maybe you'll talk me out of it. I just don't want to spend a fortune to see something . . . if it's not worth it. but the time flew so fast that we barely noticed the candles with down to the nubs. Now, all I have to do is start decorating . . . in green. I wanted to make a cake that looked like a book because Marjorie likes to read especially memoirs. It didn't turn out as nice as I would have liked but I learned a few things. So, maybe next time it will be better. I started with a cardboard cake stand. It's time to eat and celebrate!!! Mardi Gras actually means the "Carnival Season". It begins after the Epiphany and ends the day before Ash Wednesday. Fat Tuesday is supposed to signify the last night of eating fatty foods before the season of Lent and fasting. So to celebrate, we're all going to The Screen Door for dinner. How are you celebrating...or are you? I hope you have the day off because President's Day is a federal holiday that was originally started to honor George Washington, the first president of the United States. I'm going to be baking and maybe do a little antique shopping. How 'bout you? * Participate in a run/walk and help raise money for a good cause. The Shamrock Run in Portland, Oregon is set for Sunday March 18th and the beneficiary of this run is Doernbecher Children’s Hospital Foundation/OHSU. If you don’t want to run or walk, what about volunteering? If you don’t want to give time, how about some money? You can donate to a good cause or sponsor a runner or walker. If you have another idea, please post it in the comments section and help inspire others to give back. Quincunx is an arrangement of five objects ...the clue was "quin"
If you want to read more check it out here. Saint Valentine's Day was shortened to Valentine's Day but was originally meant to honor Christian martyrs. Thanks to Chaucer it became known as a day of romantic love. Today, it's a day to share love and affection with friends, family and lovers. I hope you have a wonderful day filled with love. First I started with dessert because life is short and nothing is certain so I believe in having the best first. I took a cupcake stand and embellished it. All it took was a little ribbon and some hot glue. And that was just the dessert. Pop Rocks and Conversation Hearts for the men. It was a wonderful evening filled with good food, fun and friends. What better way to spend a holiday - celebrating Valentine's Day! My son wants to do a fund raiser for the American Heart Association. So, he said, "Why don't we make some Danish Hearts?" "Okay," I said, but "then what?" He's planning to sell them on the street and donate all the money to help fight heart disease. I think this is a great way to Show a Little Heart and really celebrate the day of Love by giving back a little Love. I'm thinking of putting a little candy inside and letting him see what he can get for them. It's fun crafting and even more fun when you know it's for a good cause. I hadn't until a few days ago, when Jovan told me I needed to check it out. So, I did. And I think you should check out this article. If you're on Pinterest tell me how you use it, what you like about it, your favorite use of it. I'm just now seeing what it's all about and I can use all the help I can get. I've been enjoying the UK version - not so much the American show - now I hear that (SPOILER ALERT - DON'T READ ON IF YOU DON'T WANT TO KNOW) Mitchell, George and Nina are all on to other things. Now I love Annie, but how's she going to carry the show all on her own? I'm glad for Mitchell going off to Australia to do The Hobbit but why does Nina have to get killed.. . ? Anyone else out there watch the UK version? Literary Arts and The Oregonian Invite You to Make Your Choice! This year's Oregon Book Awards finalists have been announced! To see a complete list, visit www.literary-arts.org and read the works. Don't forget to cast a vote for your favorite. The Oregonian will calculate the votes and the winner of the Readers' Choice Award will be announced at the ceremony in April. It's a great opportunity to read amazing literature by Oregon authors. Don't Forget: The 25th Oregon Book Awards ceremony takes place April 23, 2012 at the Gerding Theater at the Armory. My husband picked this film because he has a man-crush on Liam Neeson (well as an actor) he thinks he's the Cats Meow or at least the epitome of what an actor should be. And . 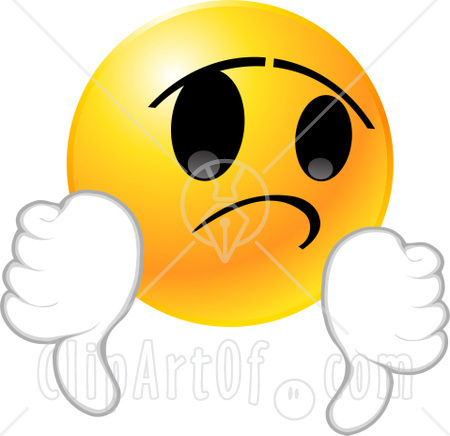 . . that may be all well and good and even true but The Grey took more than a few liberties in the name of entertainment. First off, when they say in the film that wolves are the only animals that hunt for revenge, I'd say right away you have to think of humans as the only animal who hunts for revenge. I'm not saying that a wolf or even a dog won't remember that someone has committed an act of abuse against it, it will and it might even get mad enough to turn on its owner if it continues. But, I've never heard of one hunting for revenge. Next, with all the dead bodies laying around, those wolves would have been feasting for weeks - and since the bodies were buried in the snow partially they wouldn't have rotted too quickly. Why would the wolves waste precious energy and risk wolf lives to go hunt people who were going to fight back with fire, sticks and knives, when they had a cache of easy picking food available? They wouldn't have. And when they swung across the crevice, I doubt anyone would have made it (and if they had made it across the great divide) I'm not too hopeful they would have survived the impact . . . had the clothesline been able to hold their weight. But the worst offense of all to my survivor girl instincts was when John and Pete plummeted into the icy water, they would have died of hypothermia within a couple of minutes...at the most. And where the heck did Liam get the dry clothes? Because if those weren't dry clothes he would have definitely died for hypothermia. I know, I know, I love zombie, vampire and werewolf movies so what the heck am I talking about? Well, this movie was compared to ALIVE - and meant to simulate real life, no vampire, zombie or werewolf movie makes that claim, at least none that I know of. It's less than two weeks away so we'd better get busy if we want to create any homemade gifts. Here's one we all can make and even the kids can do it with us. Take some felt and cut a simple strip. Then take some red yarn and a needle with a large eye. Simply thread the yarn back and forth through the felt. 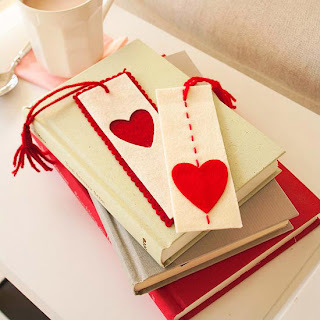 Use whatever heart shape you have around the house, to cut out a red felt heart (I used a keyring) then glue or sew a red heart piece of felt on the white "bookmark"
Thought for Thursday: Gluten Free Diets - A Fad or Fiction? When I was growing up I never heard anyone say they didn't eat gluten. Heck, I didn't even know what gluten was. But now, nearly all my girlfriends are on some sort of gluten free diet. So, I decided to do a little research to find out what exactly they were talking about. First I had to find out what gluten was/is. Then I had to see why it's such a problem wheat is in some of my favorite foods like brea, cookies, cakes, and a whole lot more. And then I read that some practitioners also say oats could be an allergen. OMG!!! that cuts out an entire category of foods - at least in my opinion. So, why would people be willing to give up these yummilicious goodies? Gluten intolerance is associated with Celiac Disease, which is most common in Caucasians and people of European ancestry. And, of course, women are affected more often than men. Thus, the probable reason why most of my friends are on this sort of diet - most of my friends are women. But then I read that the symptomology can be hard to pin down because gluten intolerance can present different symptoms for different people. So some of my friends might even be gluten intolerant and not even know it. A person becomes malnourished, no matter how much food he or she eats. Autoimmune disorders such as rheumatoid arthritis, systemic lupus erythematosus, and Sjogren syndrome, Addison's disease, Down syndrome, Intestinal cancer, Intestinal lymphoma, Lactose intolerance, Thyroid disease, and Type 1 diabetes. I had no idea it could wreck such havoc on a person. Only 1 in 133 Americans suffer from gluten intolerance but it is difficult to diagnose so some people might misdiagnose themselves. I thought WOW!!! this is one disease I barely knew anything about. I thought it was on the increase due to stress or some other common concern with our modern day lives but I had no idea of all the consequences. Can you guess what the actual meaning of the word is? Well, scroll down and you'll see it. A little further. . .
Quintessential means "Representing the most perfect or typical example of a quality or class: "the quintessential tough guy"." So, I guess I was write. Sometimes it's just hard to think of a perfect example of what a word means so that you can explain it easily that's why I like doing the Word for Wednesday.